Particularly if I don't finish bottom! It's just a PM away. You forgot the 'new' pencil that will drive you on to victory. IGM went on the offensive during the International Break. Dark Arts and Black-Ops may have been involved or deployed. I had my heart replaced with a Lego Brick, I have now lost my caring side - I am now free to cheat. To erase TCC's dreadful GW scores? Alles klar. 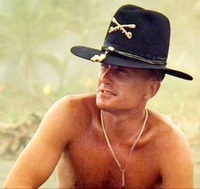 All I'm hearing is "blah blah blah"
I love the smell of Napalm. It smells like... victory. I sooooo hate Steve Bruce, I do him a favour by letting one of his Hull gimps play in MY team, and how does he thank me?? He drops him!! Or has he eaten him? I think he's eaten enough! !